Founded in 1855 as the nation's first hospital devoted exclusively to caring for children, The Children's Hospital of Philadelphia (CHOP) has been the birthplace for many dramatic firsts in pediatric medicine. The Hospital has fostered medical discoveries and innovations that have improved pediatric healthcare and saved countless children's lives. Over 150 years of innovation and service to our patients, their families and our community, reflect an ongoing commitment to exceptional patient care. 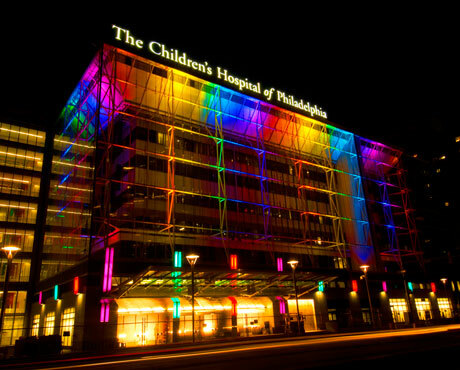 The Children's Hospital of Philadelphia is ranked the best pediatric hospital in the United States by Parents magazine. CHOP is one of three children's hospitals in the nation to be recognized in the top 10 in every pediatric specialty area ranked by the U.S. News survey.